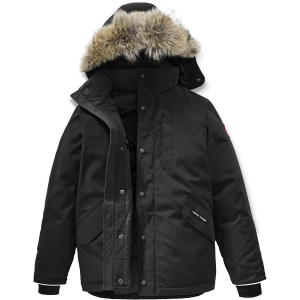 Canada Goose took inspiration from its adult Chateau Parka to design the Boys' Logan Parka. 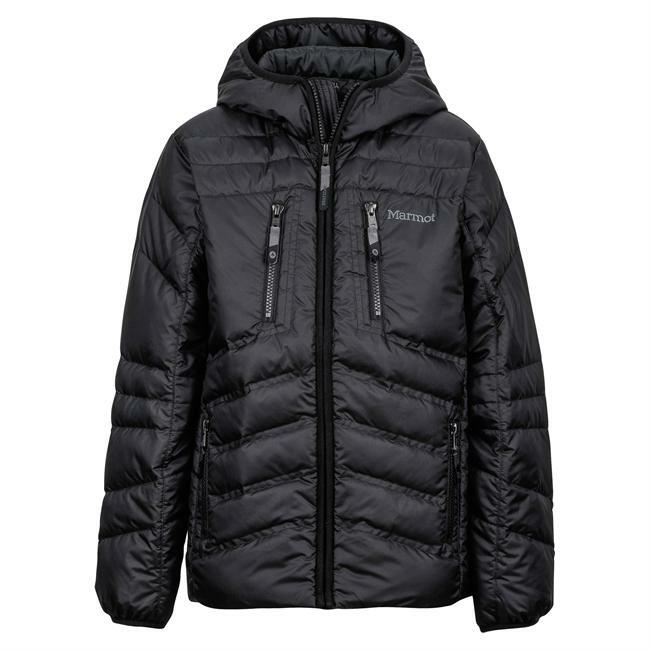 Built with a longer cut than its other jackets, the Logan offers additional protection from the wind, rain, and snow. The outer layer of the Logan jacket is a water-resistant cotton/poly fabric coated with a washer-safe water-resistant treatment to hold the elements at bay. 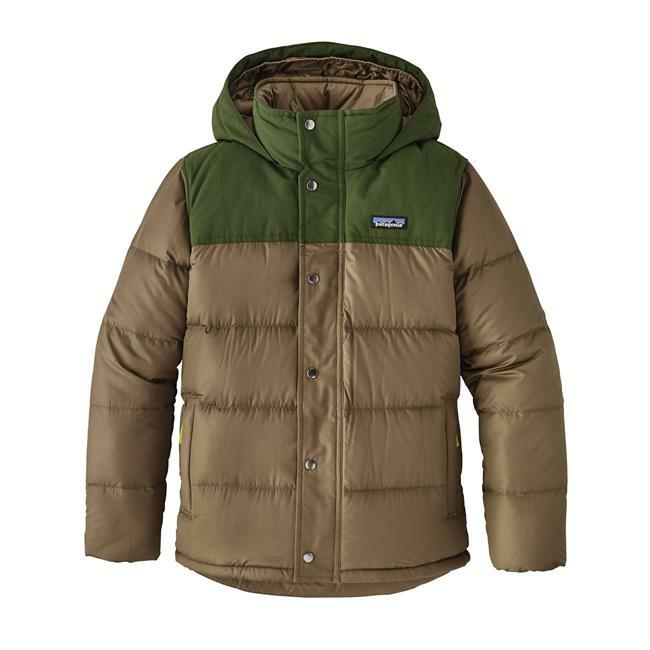 The jacket is lined with a smooth, durable nylon plain-weave fabric that's soft to the touch and won't cause irritation, even if it contacts bare skin. Of course, the real story is the insulation. 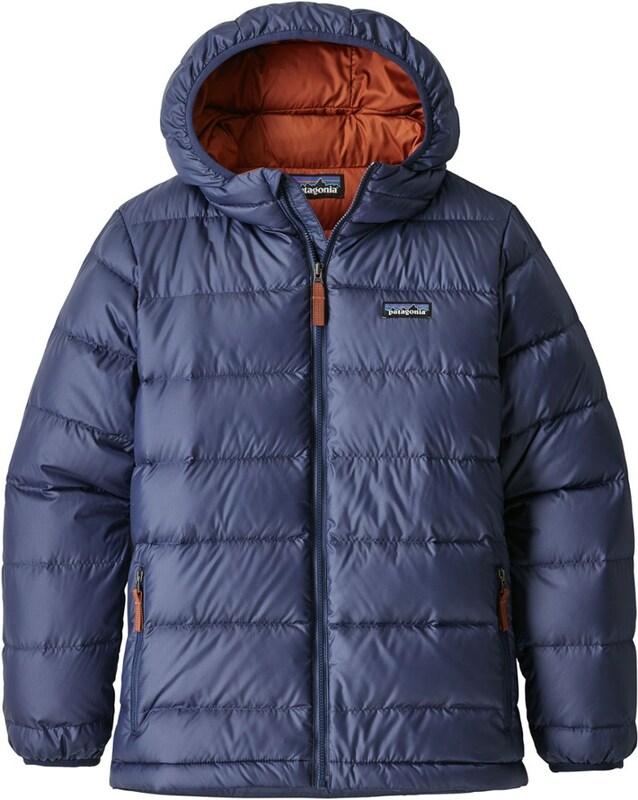 Canada Goose uses high-quality 625-fill white duck down. 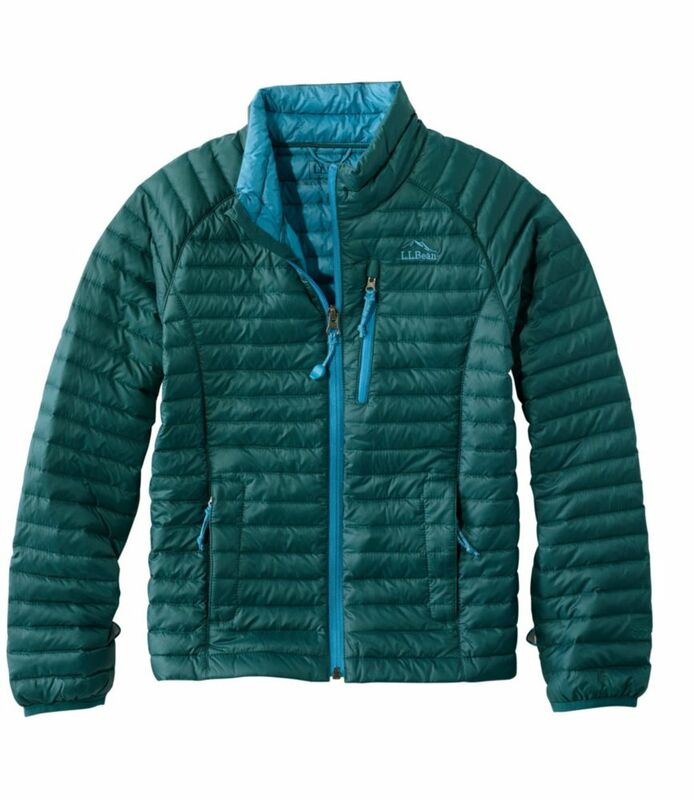 Down is extremely lightweight and packable, and locks in warmth as well as any insulation on the market. Canada Goose also filled the removable hood with white duck down for added head protection. 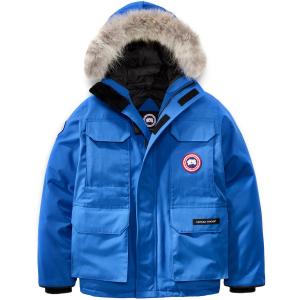 The other feature that you'll love is Canada Goose's Gosling Graduate System, which allows you to extend the sleeves an inch and a half when the time comes.The Logan also includes reflective piping on the opening cuff edges to make your child more visible, and a Goose I. D. hand-me-down label on the interior make the jacket easily identifiable and help trace the family history of the jacket. For added comfort, Canada Goose included rib-knit cuffs and waistband to seal out drafts. Finally, Canada Goose added two fleece-lined hand pockets, an interior zippered security pocket, and a vertical welt pocket on the left chest.